The Jurassic coast is an 85-mile stretch of coastline from East Devon to Swanage, and is England’s first natural World Heritage Site. Its rocks hold a unique record of the development of life on earth. 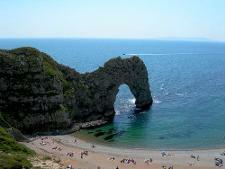 The coastline includes attractive beaches and scenery, including Durdle Door and Lulworth Cove. There are various walks and cycleways along this stretch of the coast. 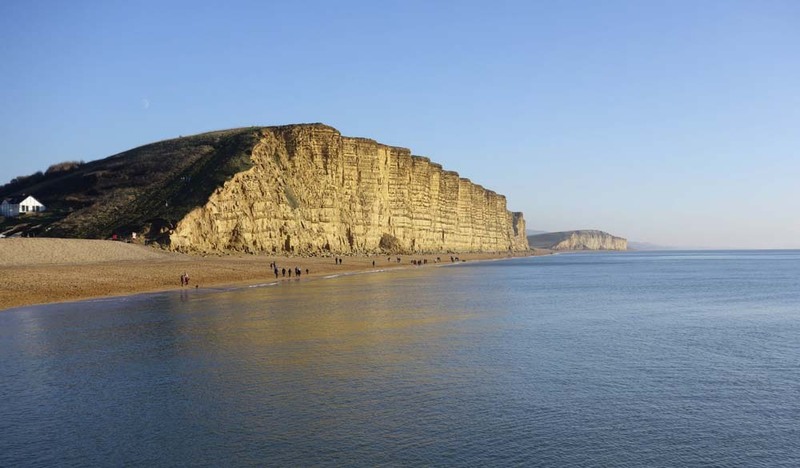 With the stunning golden glow of the majestic sandstone cliffs and the shimmering radiance of Golden Cap, West Bay (main photo above) is the Golden Gateway to the Jurassic Coast. West Bay nestles south of Bridport, between Eype with Seatown to the west and Freshwater with Burton Bradstock to the east. 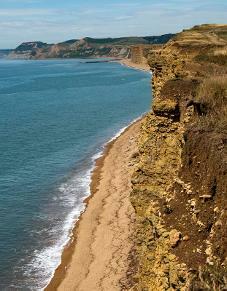 It has become famous for being the location of the TV series "Broadchurch". 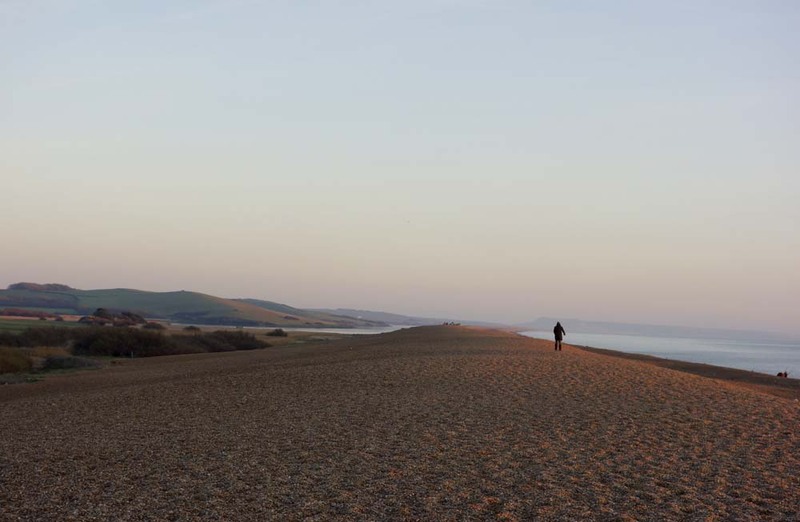 West Bay is at the western end of Chesil Beach, an 18-mile shingle tombolo in the centre of the Jurassic Coast stretching from Portland to Abbotsbury. For much of its length it is separated from the mainland by an area of saline water called the Fleet Lagoon. Both the beach and the lagoon provide an important range of habitats for wildlife. Weymouth is at the heart of the Jurassic Coast; its attractions include a picturesque harbour, Georgian seafront with golden sands, historical buildings, modern shopping centre, RSPB nature reserve, Sealife and Marine Sanctuary, and Nothe Fort. The Isle of Portland is a limestone tied island, 4 miles long by 1.5 miles wide, in the English Channel, 5 miles south of Weymouth, forming the southernmost point of the county of Dorset. Chesil Beach connects it to the mainland. 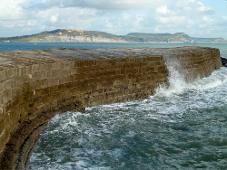 Portland is a central part of the Jurassic Coast. 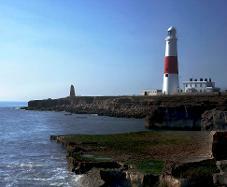 At the south of the Isle is Portland Bill, a narrow promontory of Portland Stone, with three lighthouses, a visitor centre and a cafe. It’s also on the South West Coastal Path. Swanage is a traditional Victorian seaside town, set at the heart of Purbeck and built around a beautiful bay sheltered from the north by Ballard Down and at the south, Peveril Point. It has a 'blue flag' quality beach with spectacular views to the Isle of Wight. Stroll the restored pier, play in the amusement arcades, take a boat trip to see the coast from the best viewpoint, enjoy a ride on the steam railway. 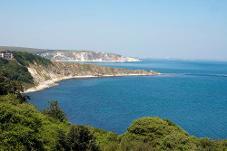 Just a mile from Swanage is Durlston Country Park, a large nature reserve offering the chance to see many diverse species of wildlife; for the sports enthusiast, there are tennis courts, a bowls club and excellent golf courses. The surrounding area is all designated an Area of Outstanding Natural Beauty offering some of the finest scenery in England. Places of interest nearby include the natural features of Lulworth Cove, Durdle Door, Old Harry Rocks and Poole Harbour and Brownsea Island. Poole boasts Britain's best beach, Sandbanks; Europe's largest natural harbour; a lively Quay; Poole Pottery; the wildlife sanctuary of Brownsea Island; and Tower Park, the south coast's largest entertainment centre. 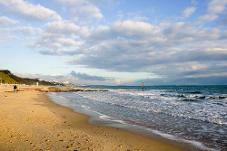 Bournemouth offers seven miles of golden sands and sparkling sea. 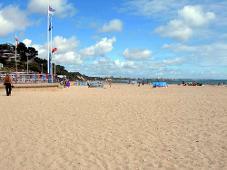 The Oceanarium looks out over Bournemouth beach and pier; Boscombe also has a pier, and colourful beach huts. There are many free festivals, including the Wheels Festival in May, the Air Festival in August and the Arts by the Sea Festival in October. It is famous for its Victorian gardens: Lower, Central and Upper Gardens leading up from the sea to the town centre. Alum Chine has an award-winning tropical garden. Christchurch is the most easterly coastal town in Dorset, lying between the Rivers Avon and Stour which flow into Christchurch Harbour. The harbour is a protected wildlife refuge and is home to large populations of swans, waders and other bird life. On the south side the harbour is enclosed by Hengistbury Head which was the site of the earliest settlement here dating back to the Neolithic. The town centre is dominated by Christchurch Priory, which dates back to the 11th century. There is also a ruined castle of Norman origin. Christchurch, Mudeford and Hengistbury Head: 34 miles, 1 hr.